As we all know that Raahgiri Day is India’s first and most popular weekly street event. It is sustained car-free citizen initiative, which began in Gurgaon on November 17, 2013. The movement was considered and is trademarked with the Raahgiri Foundation, involving of local inhabitants from five organizations – EMBARQ India, I Am Gurgaon, Pedalyatri, Heritage School Gurgaon, Duplays Gurgaon. 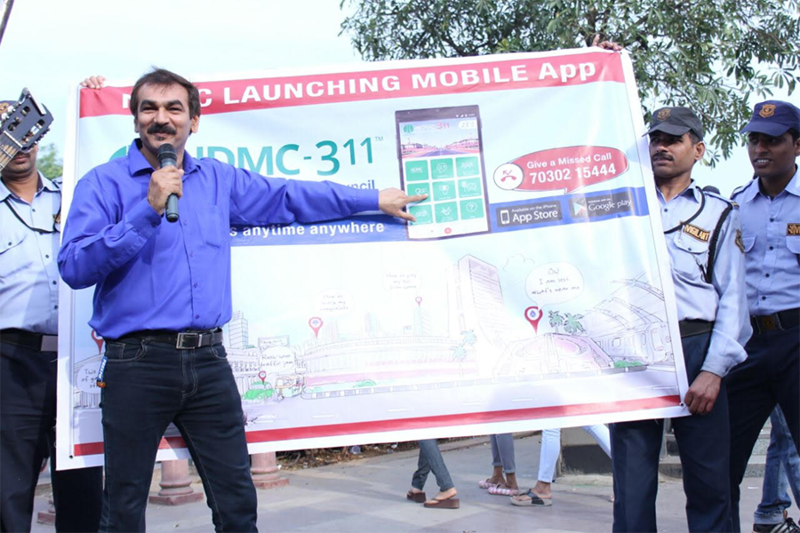 Raahgiri considered as the biggest event that provides citizens with the prevalent opportunity to reclaim their streets, connect with their community, celebrate their city and hence reclaim their lives. 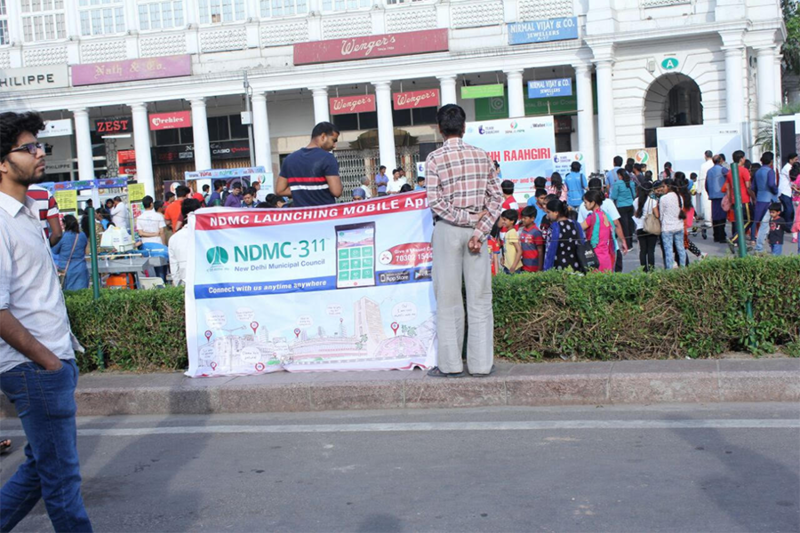 On 27th March 2016, Raahgiri has conducted Swachh Raahgiri Day at Connaught Place, New Delhi, where Mr. Rohtas Singh, an administrator from the NDMC department also extended his support towards this event with UNICEF India and WaterAID India. 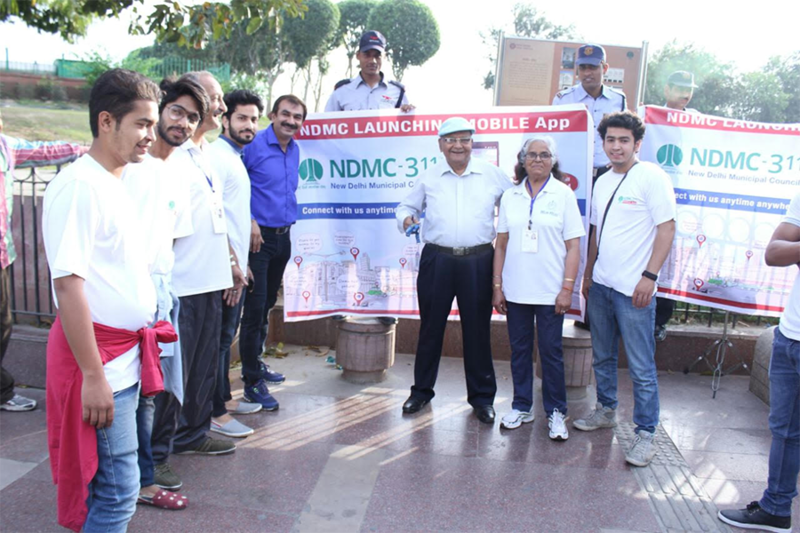 The event ‘Swachh Raahgiri’ promoted our developed application NDMC-311 that allows citizens of the city to raise a voice against any civic issue, get in touch with the emergency department through Helpline24x7, find nearby places like public toilets, hospitals, libraries, bus stands, petrol pumps, etc. Now, citizens of the Delhi can access the NDMC-311 application and make a complaint regarding in civic issue like garbage, potholes, waterlogged street, electricity problem, no dustbins, etc. 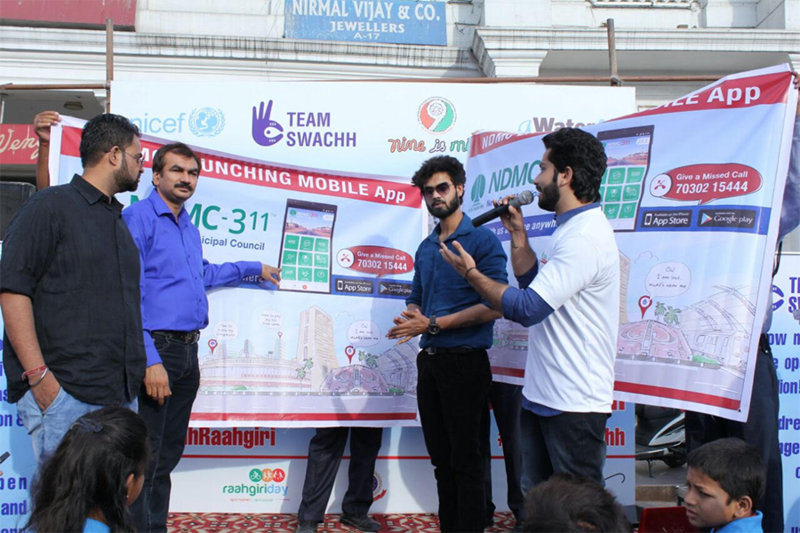 The application will enable citizens to make their city clean, supporting Swachh Abhiyan. The conducted event was extremely big as a lot of people from Raahgiri Foundation and other Authorities were involved in it, making it a huge success. Moreover, various citizens’ groups and media partners were also present for covering the event and disseminating the information amongst the masses.